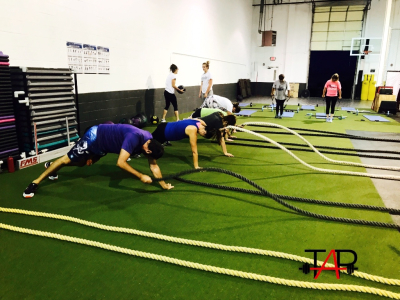 The Athlete's Playground offers functional strength training programs and classes for adults and sports performance and functional strength and conditoning programs and classes for kids and teenagers. All programs are designed specifically for each of the client(s) depending on their needs, goals, wants, and what we discover during their intitial assessment. Our strength and conditioning programs are designed and broken down according to age, training maturity, physical condition, and past and/or current injuries. The adult programs offered at The Athlete's Playground are geared toward functional strength training, cardio endurance, weight-loss, balance, flexibility, range-of-motion, and more. 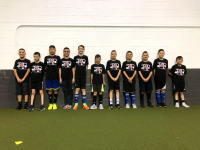 The youth programs are designed for children and teenagers of all ages and abilities. These programs range from those just starting off learning how to run and jump properly to those looking to take their game to the next level. Gym memberships are available with no monthly contracts. Memberships are available individually, for couples, or for the whole family. The membership give you access to use state-of-the-art equipment, unlimited youth and adult classes, nutrition guidance and coaching, and much more. The corporate wellness program is designed to help create healthier lifestyles in the workplace through fitness and exercise. The corporate wellness program offers discounted rates on programs and services for businesses, their employees, and their employee's families. Our sports performance camps are 8-week camps that are available in the summer and winter. These camps are designed for 4-7 participants and are 75-minutes in length. Our vertical jump camps are available in the summer and winter and focus on increasing an athletes vertical jumping power. Our youth performance camps are offered at certain times throughout the year to accomodate the varying schedules that today's student athletes have. These camps are designed to safely increase an athlete's performance on the court, field, track, etc. These camps are age-specific to keep the intensity of the camp the same for everyone participating and are available to any athlete, group of athletes, or team looking to take their performance to the next level. Our sport-specific camps are designed to combine sport-specific skills training with performance training to give athletes the ultimate sports performance training camp experience. Our first-class strength and conditioning coaches deliver a training regimen based on knowledge of scientific theory and current research-based guidelines, which will ensure every athlete to achieve great gains in personal performance while surpassing their personal best. The Athlete’s Playground not only focuses on athletes, but also provides training programs for those trying to better themselves with a healthier lifestyle, whether that is weight loss, rehabilitation, cardiovascular improvement, or general heath. 8401 Jefferson NE Suite B, Albuquerque, New Mexico, The Athlete's Playground, LLC © 2015 All Rights Reserved.